A friend of mine who subscribes to this blog confessed to me that, while she has been enjoying my weekly profiles of late bloomers, she has been a bit intimidated by their grand achievements. Are there no late bloomers, she asks, whose late-in-life successes are within the reach of the ordinary soul? Perhaps this week's late bloomer fits that bill. As her son says, Marilyn Hagerty never sought celebrity. A woman with an extraordinary work ethic, she simply has been doing her job as best as she can for decades. She is a journalist, but not the flashy kind we are used to seeing on television where style so often trumps substance. Rather she is the old-fashioned kind, the one that doesn't let her own ego get in the way of the story. Someone with a simple and straightforward writing style who is at her best when writing about the ordinary people of Grand Forks, North Dakota. The fact that she is an Internet sensation is really not her fault. The fact that her restaurant review of the new Olive Garden in town set the Web abuzz says more about our current cultural obsession with people who are famous for being famous than it does about Hagerty's no-nonesense prose. Her appearance on the Today show, her stint as a guest judge on Top Chef and her book deal with media-superstar Anthony Bourdain doesn't seem to have changed her one iota. She still is meeting those deadlines for her five columns a week at the Grand Forks Herald. At age 86. "This is a straightforward account of what people have been eating -- still ARE eating -- in much of America. As related by a kind, good-hearted reporter looking to pass along as much useful information as she can -- while hurting no one," Bourdain writes in his introduction to her just published book Grand Forks: A History of American Dining in 100 Reviews. "Anyone who comes away from this work anything less than charmed by Ms. Hagerty -- and the places and characters she describes -- has a heart of stone. This book kills snark dead." 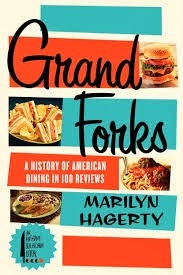 LATEST ACCOMPLISHMENT: Grand Forks: A History of American Dining in 100 Reviews, published in August under Anthony Bourdain's imprint at Ecco Books. Marilyn Hagerty, after a longtime newspaper career, became an Internet sensation last year when her mostly positive review of the new Olive Garden restaurant in her hometown of Lisbon, North Dakota, went viral. The piece appeared in "The Eatbeat," her weekly column in the Grand Forks Herald, but soon was linked to sites around the web. The commentary about her writing alternated between snarky comments about such an earnest review of a chain restaurant and applause for her lack of foodie snobbism. "I think they're being rather condescending, but it's OK with me," Hagerty told Kevin Hoffman of Minneapolis' Citypages.com. But Hagerty has had the last laugh. In 2012 she received the Al Neuharth Award for Excellence in the Media, named for USA Today and Freedom Forum founder Al Neuharth, a South Dakota native. Hagerty was honored as "a model journalist dedicated to serving local communities through consistently fair, truthful and relevant coverage." Hagerty was the 26th journalist to receive the award, along with Walter Cronkite, Garrison Keillor, Katie Couric, Helen Thomas, Tom Brokaw, Larry King and Charles Kuralt. Hagerty, born in 1926, started her newspaper career when she was a high school student, working for the South Dakota Capital Journal. 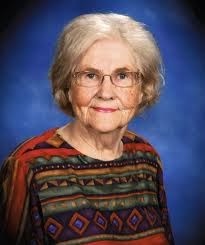 She began writing for the Grand Forks Herald in 1957 when she was 30. Her husband, Jack, was the newspaper's editor. By the '70s she was writing a regular column of personal commentary as well as a column of stories about the city's past. In 1994, she published a collection of those columns: "Echos: A Selection of Stories and Columns." She was 68. Now at 86, she writes five columns a week for the Grand Forks Herald, including "That Reminds Me" on Tuesdays for the editorial page, "The Eatbeat" on Wednesdays for the food page and personal columns on Thursdays, Fridays and Sundays. "Some people pursue celebrity. Others stumble into it as they are rushing off to bridge club," wrote James R. Hagerty in the Wall Street Journal after his mother achieved national fame. Like his father and mother, James, too, is a working journalist (sister Gail is a judge and sister Carol is a lawyer). What did his mother think about being "mocked all over the Internet"? he asked her. "I'm working on my Sunday column and I'm going to play bridge this afternoon, so I don't have time to read all this crap," he quoted his mother as saying. "Only a dog understands another dog." 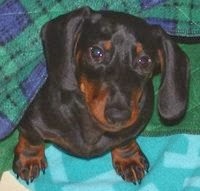 Hagerty does have plenty to do: She cleans her own house, puts up with a dachshund named Dot.Com (who once took over one of Hagerty's columns to write to her friend, Sasha, pictured here), visits her eight grandchildren and volunteers at church. Oh, and Hagerty has survived breast cancer. She pays her own way at the restaurants she covers so no one can say she does reviews just to get free meals and she doesn't considers herself a food critic. The restaurant reviews are only a small portion of her workload. Her journalistic speciality has always been writing about people, says her son. And "after 65 years of writing and editing for newspapers in both of the Dakotas, she didn't need to worry about leaving a mark on the world," he points out. "She had already done that. More than a decade ago, she mused in one of her columns that it would be nice to have something named after her. It wouldn't have to be a grand building or a stadium, she wrote. A sewage-pumping station would do. The mayor of Grand Forks eventually complied. Visitors to the town will note the Marilyn Hagerty sewage facility, with a suitably engraved plaque in her honor, on Belmont Road." 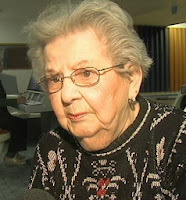 Demers, who is among 53,364 centenarians in the United States, is still bowling on her senior league every Wednesday. She turned 103 on Sunday. "I'm not that good a bowler," Demers said to Hagerty when she was 100, "But they tell me not to quit."